You are looking at one of the most desired of all of the Zenith tombstones! This model is a rare one, as they were expensive in the depths of the Depression. This was one of the models that employed a console chassis in a large table style cabinet. Everything is factory original with a terrific factory finish. 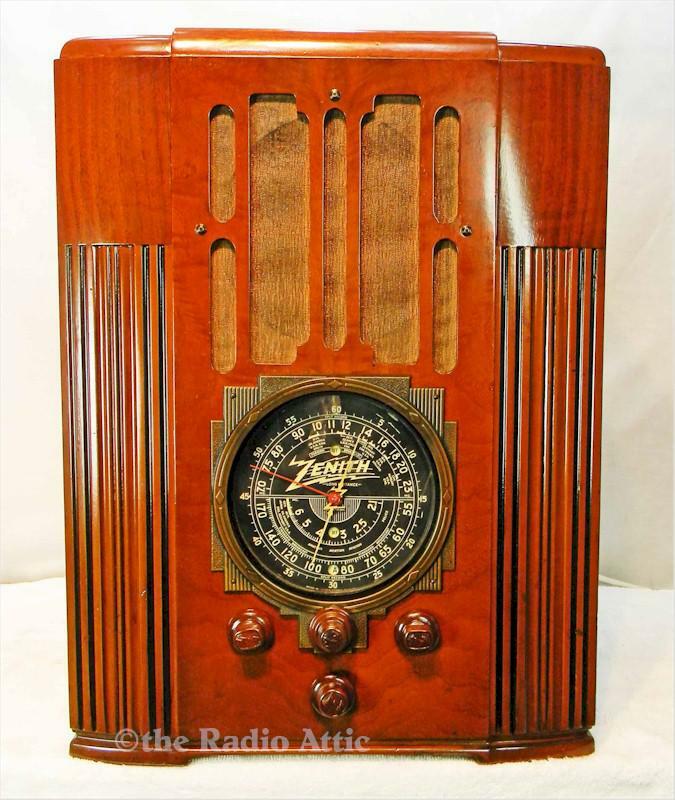 The radio retains the factory installed speaker cloth and the iconic "Z" wood knobs. The multi-colored dial is pristine. This model also offers micro/macro tuning for the finest tuning and reception. Les has done his usual highly professional level of repairs. The chassis was in terrific condition, and with the repairs the radio is as good as new. Les has added a mini-jack to this radio. The sheer size and sound quality of this model make this radio a true delight to listen and enjoy. With the mini-jack you can input from any modern device and enjoy any of the unlimited content you might wish to listen to. You will never find a nicer example! 22-1/2"H x 16-1/2"W x 12-1/2"D.
You are visitor number 2,373 to this page.